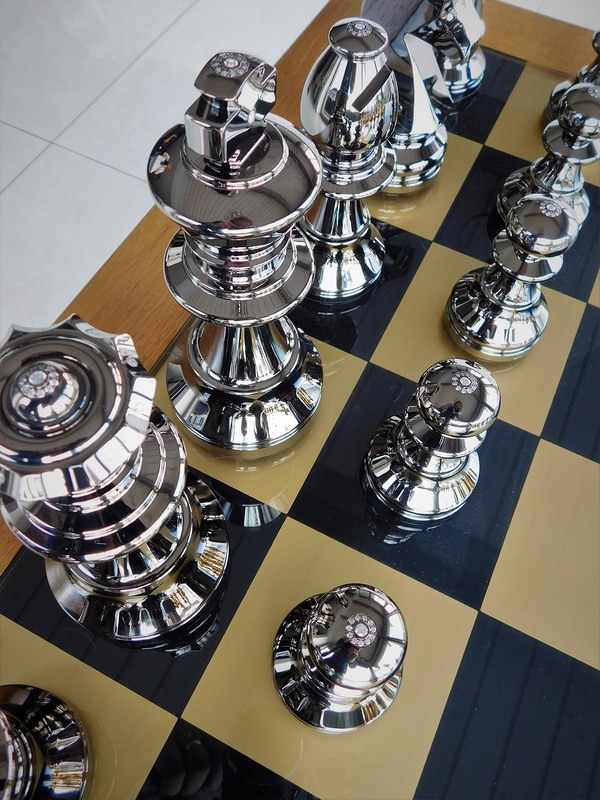 Unique objects in the world, the FUMEX chess boards are the first luxury metal chessboards. From the United States to Russia, to St. Barth, Switzerland and Morocco, they have conquered the world and all the most prestigious places on the planet. 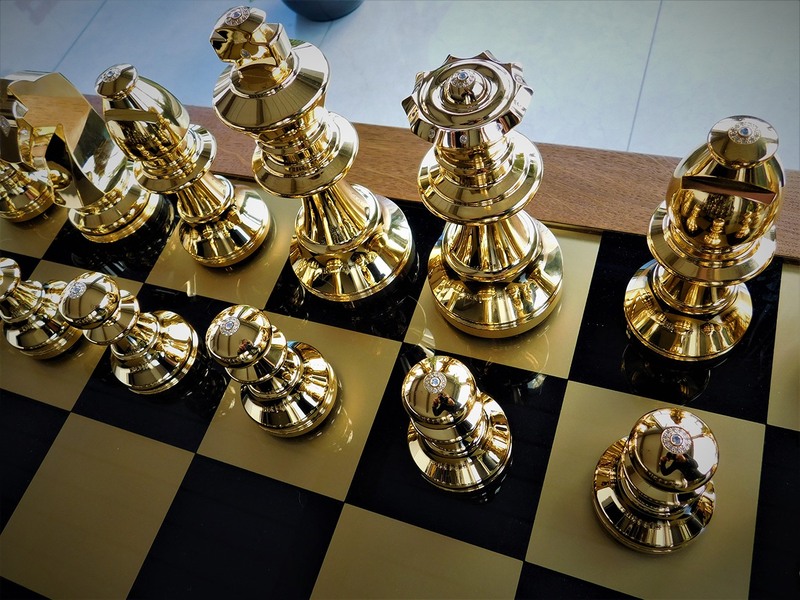 The quintessence of luxury, FUMEX proposes to create a chessboard in your image, a unique and exceptional example that looks like you. Fascinating, here the personalization and sumptuousness have no limits, you have the possibility to give carte blanche to any eccentricity, to have your pieces engraved in your name or even to have precious stones or metals inlaid. To ensure exclusivity and to reinforce the premium aspect of the parts, the highest quality examples made of aluminum are marked with a serial number. FUMEX, perfectly combines luxury and passion and does not forget to respect the mythical strategy game by keeping its classic Staunton-style form. 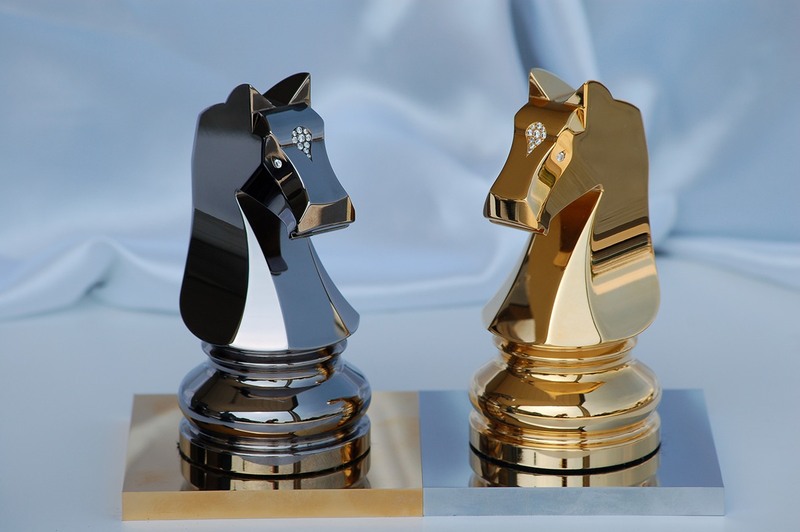 If chess has always fascinated amateurs, it is likely that these majestic pieces of the silversmith’s work, sublimating the masterpiece, will hypnotize the most novices with their finesse. 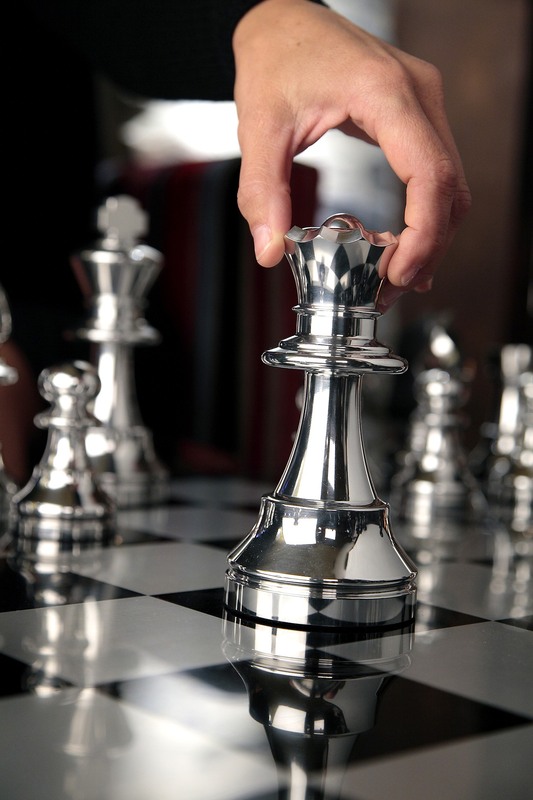 A prestigious decorative object, a FUMEX chessboard represents a titanic work. After having elaborated the plans, it takes no less than 250 working hours and 180 kilos of raw material to machine, polish, chrome, anodize or plating with 24-carat gold the metal parts. 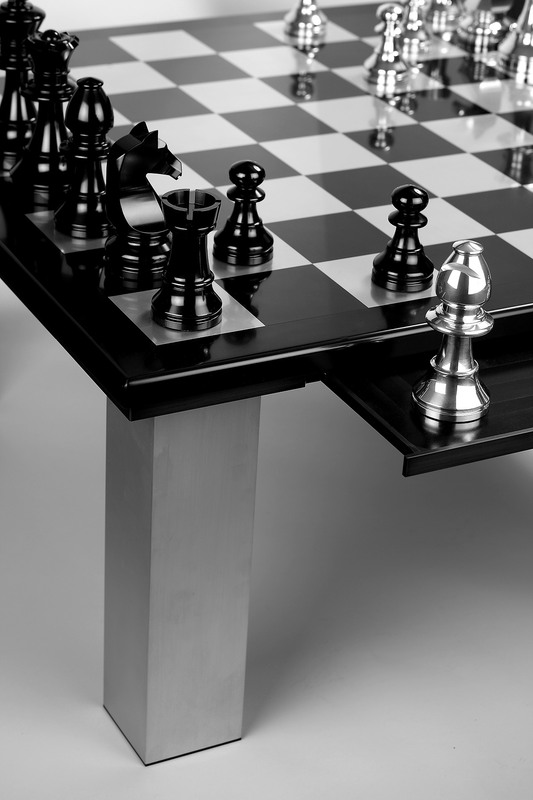 If the rooms, which can be infinitely customized, can give carte blanche to your originality and imagination, FUMEX offers you several tables or game boards that will find their place in a residence, a hotel, a suite, etc. 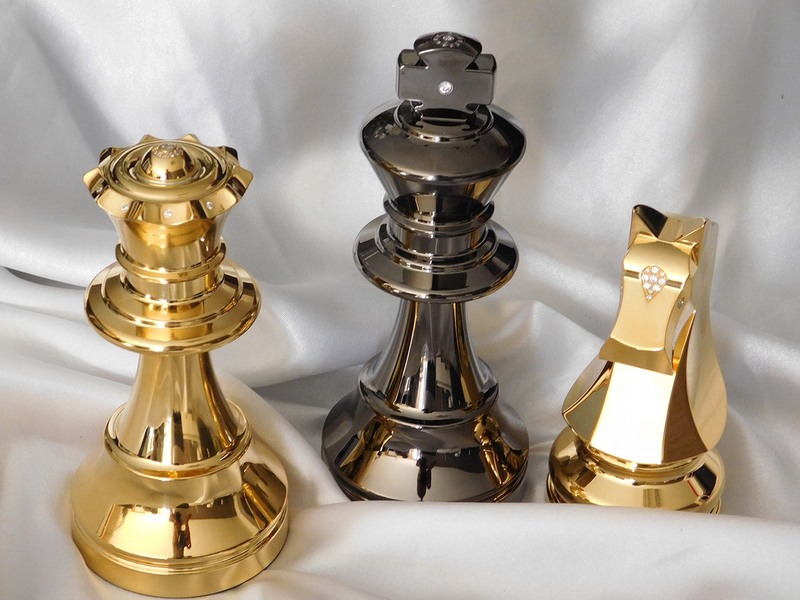 Real design objects, the games available in 2 sizes, 180 mm and 135 mm for kings or 800 and 550 mm respectively for checkerboards, will enhance your interior with this unique touch of luxury. 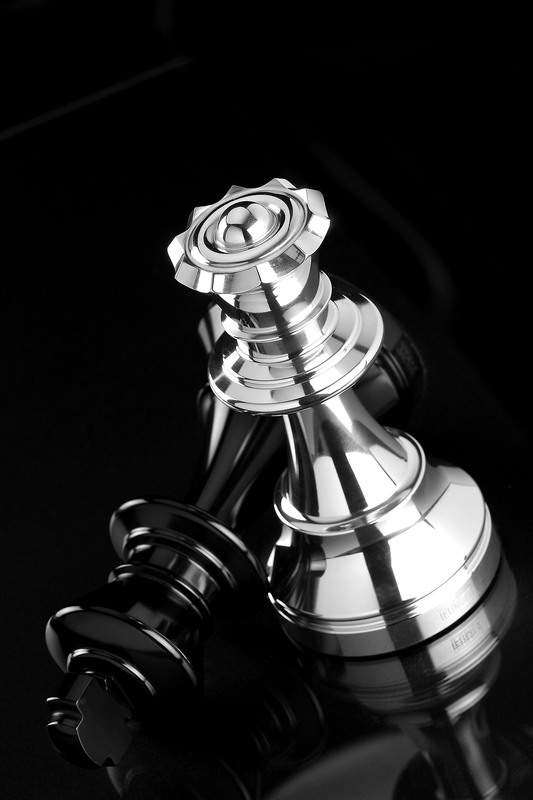 Inimitable jewels, the FUMEX chessboards embody French know-how in all its magnificence. They also reflect the passion of a whole family of craftspeople and the desire to provide a unique experience for all citizens of the world. Contact ÉCHIQUIER DE LUXE – FUMEX. Share the post "FUMEX, THE MAJESTY OF THE CHESSBOARD"